Seventy years before Harry Potter reads writer Newt Scamander's (Eddie Redmayne) book in school, the author enjoys adventures in New York's secret community of witches and wizards. 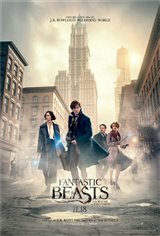 The spinoff film takes place in 1926, as Newt travels the globe to find and document magical creatures. 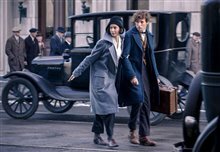 But after completing a global excursion and arriving in New York for a brief stopover, his misplaced magical case leads to the escape of some of Newt's fantastic beasts in the No-Maj (American equivalent of "Muggle") world. Based on the novel written by famed author J.K. Rowling, who wrote the Harry Potter books. She also wrote the screenplay for this movie.